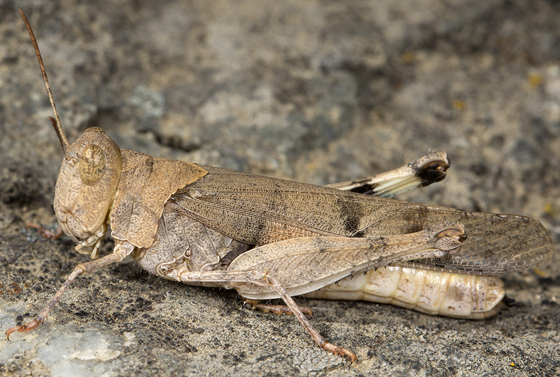 Grasshoppers have a confusing (to me) amount of variation. I've been looking at them for awhile now, but regularly find myself quite confused! D. pictipennis has quite a bit of variation in terms of body color, but the rose/pink color to the wing is distinctive as well as the relatively high once cut pronotal crest. A. ramona will have bright orange wings (not red/pink) and a lower once cut pronotal crest.